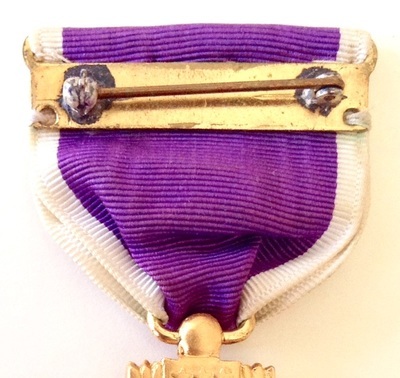 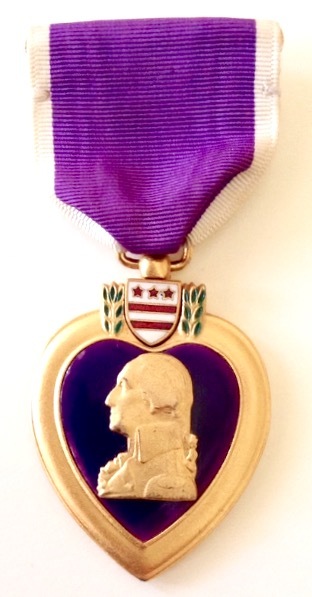 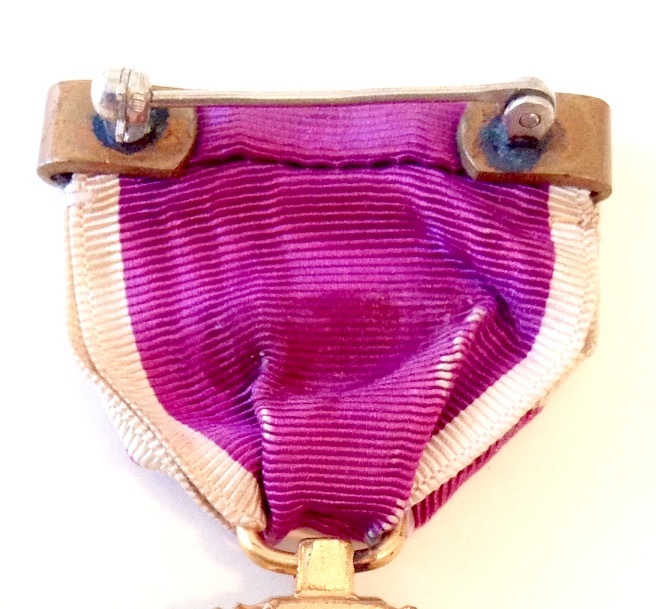 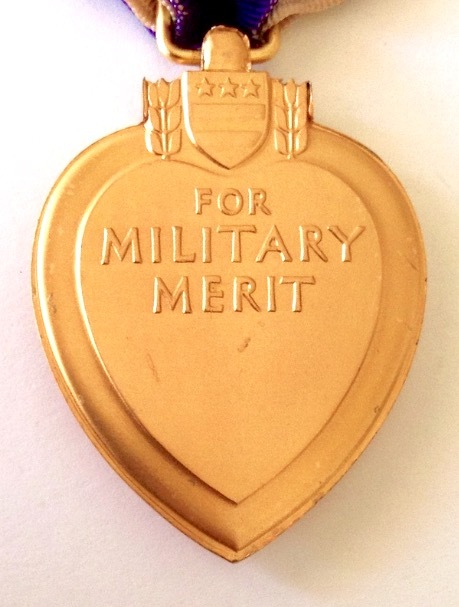 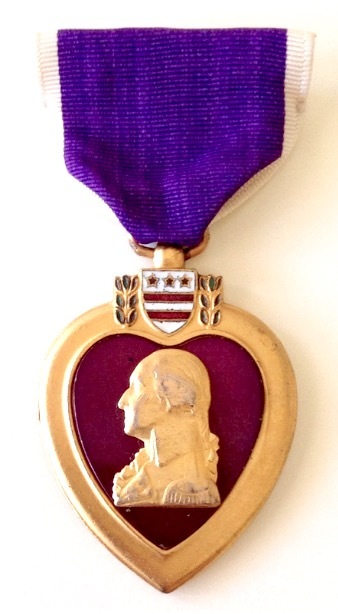 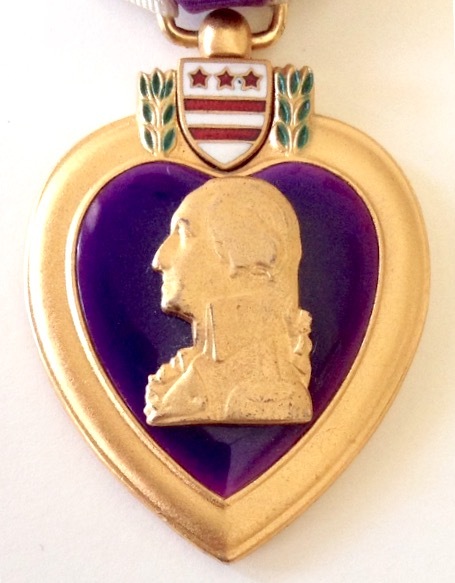 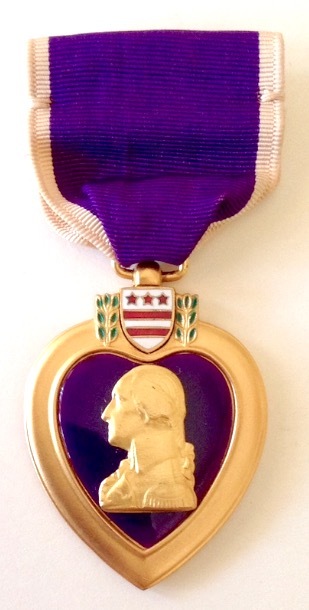 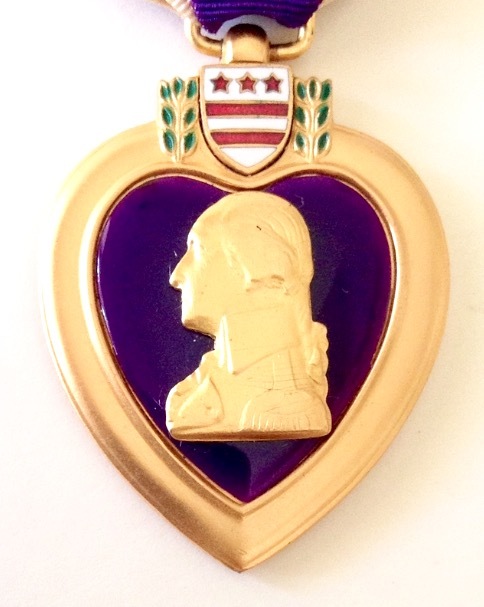 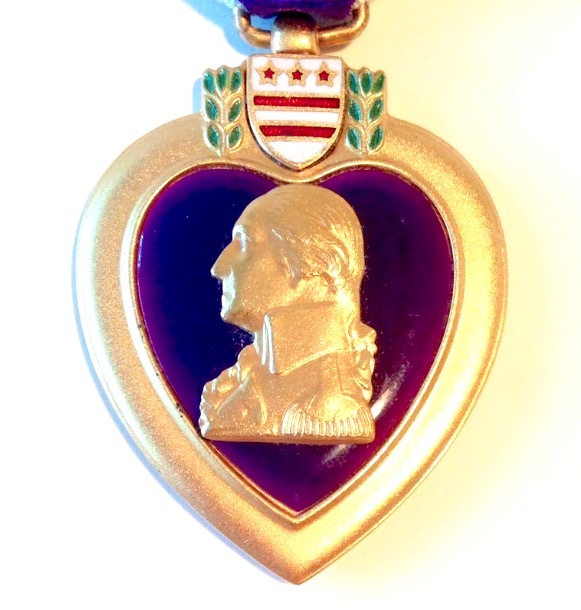 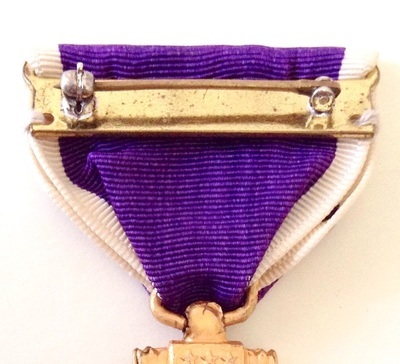 The original Purple Heart award was instituted by George Washington in 1782 to reward troops for "unusual gallantry" and "extraordinary fidelity and essential service." 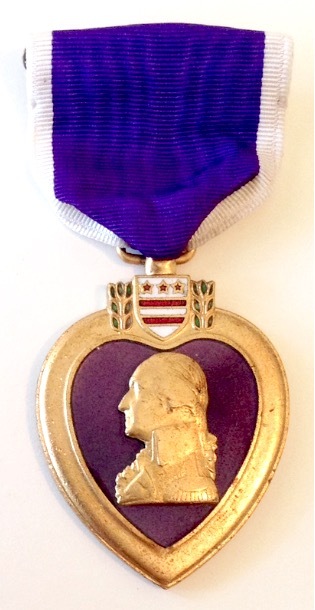 The award was a purple cloth heart edged in silver braid, and was to be worn over the left breast of the uniform. 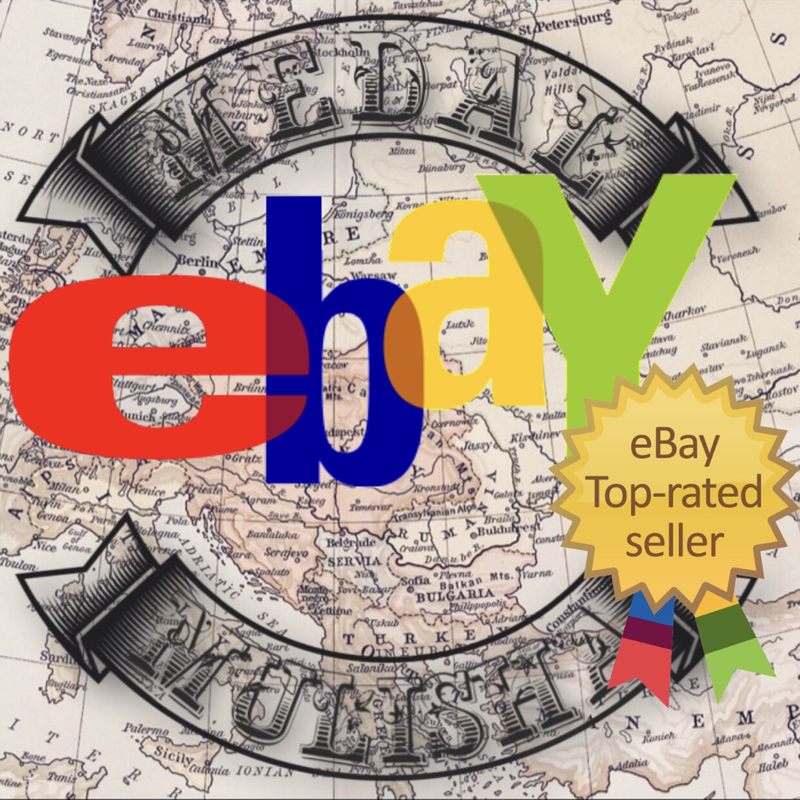 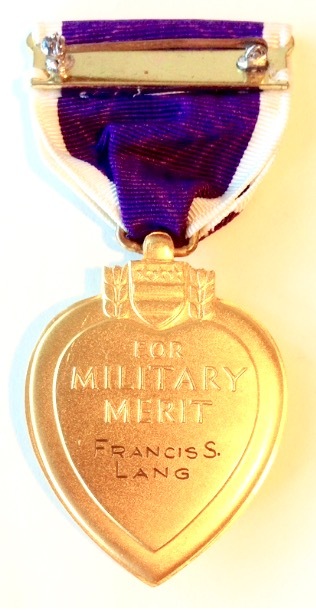 Only three awards are known to have been issued, of which two are known to exist today. The Army Wound Ribbon was a short lived decoration of the United States Army which was created on September 6, 1917 to recognize those soldiers who had received combat wounds during World War I. The Wound Ribbon was only issued until October 12, 1917 and the following year was replaced with the Wound Chevron. A Wound Chevron was a badge of the United States Army which was authorized for wear on an Army uniform between the years of 1918 and 1932. The Wound Chevron was displayed on the lower right cuff of a military uniform, and denoted wounds which were received in combat against an enemy force. The Wound Chevron was a replacement insignia for the short lived Army Wound Ribbon. 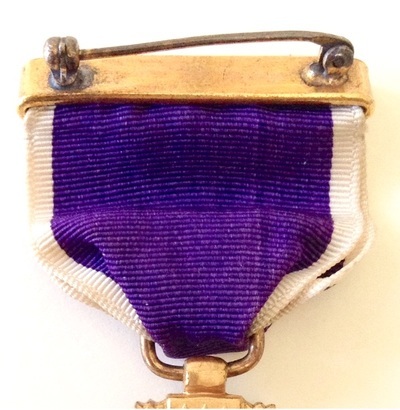 In 1932, with the creation of the Purple, Wound Chevrons were no longer awarded to Army personnel. 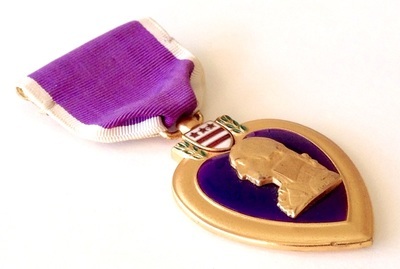 A directive of the United States War Department permitted soldiers to exchange wound chevrons for the new Purple Heart medal. 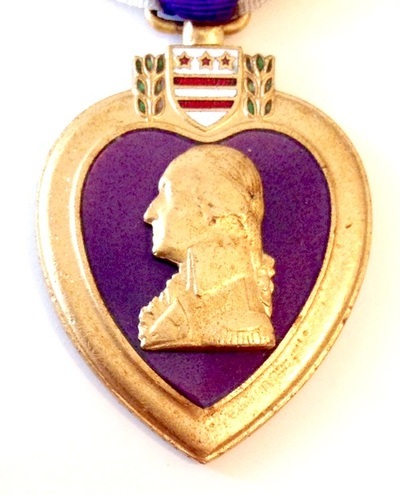 This was not required, however, and some Army personnel elected to retain wound chevrons for wear on the military uniform instead of the Purple Heart. For those who were subsequently wounded in the Second World War, both the original wound chevrons and the Purple Heart medal were worn simultaneously. 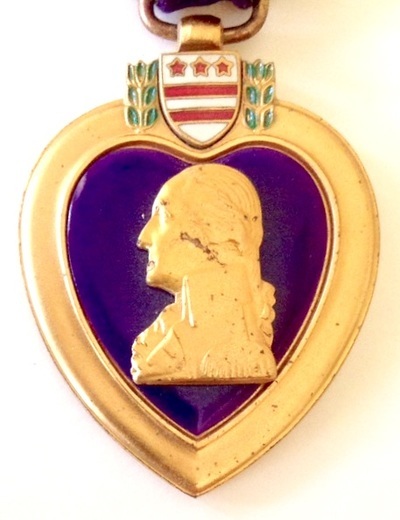 It is historically agreed that Army regulations did not permit wearing both the Purple Heart and the Wound Chevron at the same time; however, photographic evidence indicates that this was often done by veterans of both the First World War and Second World War. The Purple Heart "Medal" was established in 1932 for the 200th anniversary of the birth of George Washington. 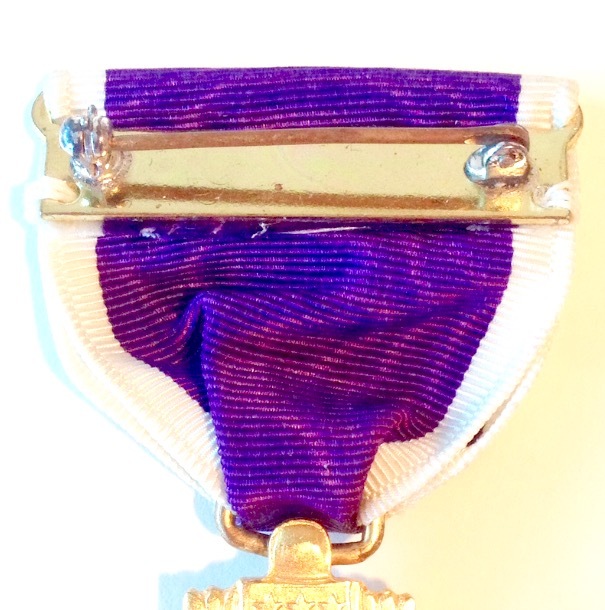 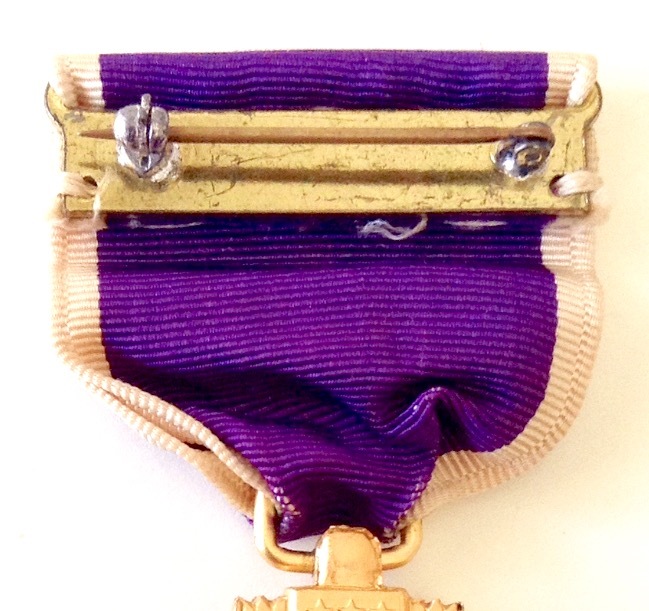 Original criteria for award of the Purple Heart as published in the War Department Circular No. 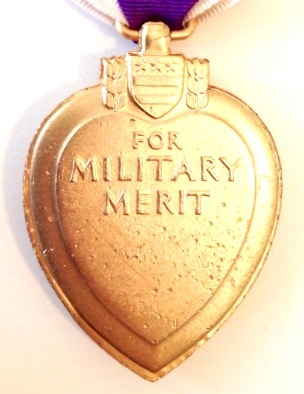 6 of February 22, 1932 states that the medal be awarded to anyone serving in the Army who had received combat-related injuries or had received the AEF's Meritorious Service Citation Certificate during WWI. 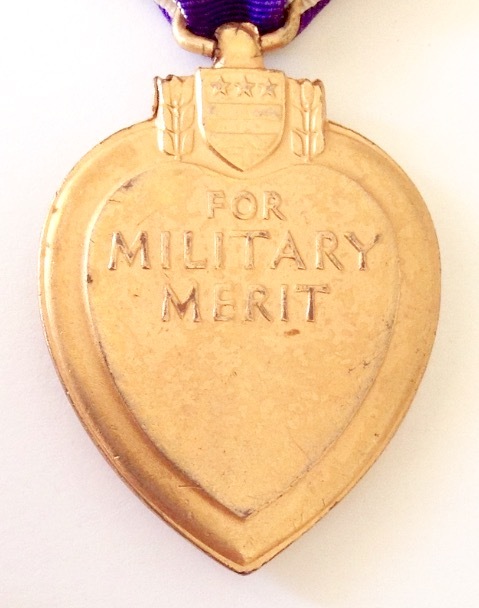 The new medal was retroactive to any soldier wounded from the Civil War on, eligible recipients were required to submit a formal application to the War Department for approval before the issuance of the medal. 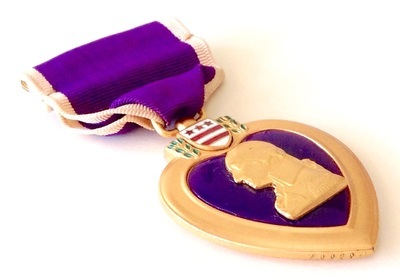 The Purple Heart was not officially authorized for the Navy until 1942, sailors and Marines who had been wounded prior to 1932 were eligible to apply for the medal. 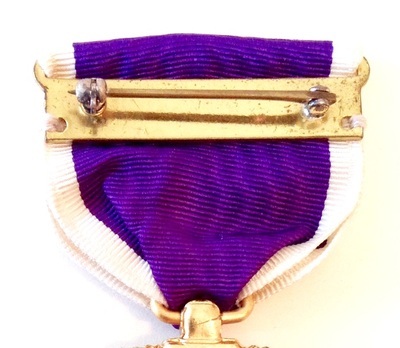 Approximately 12,000 sailors and Marines were wounded between the Civil War and the Nicaragua Campaign of 1932. 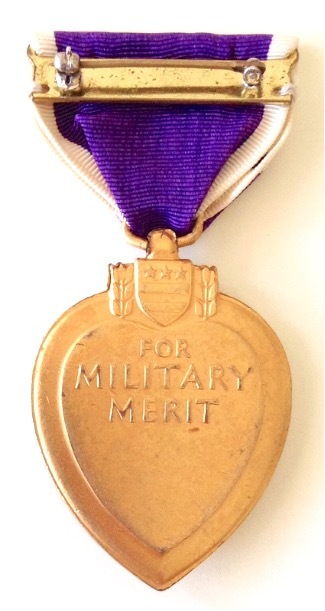 -4/26/1933 American Emblem Co., Inc.
​The BB&B Purple Heart is numbered on the lower left rim in the range of 1-60000, made of Bronze with Gold gilt. Enamel heart, & split wrap brooch. 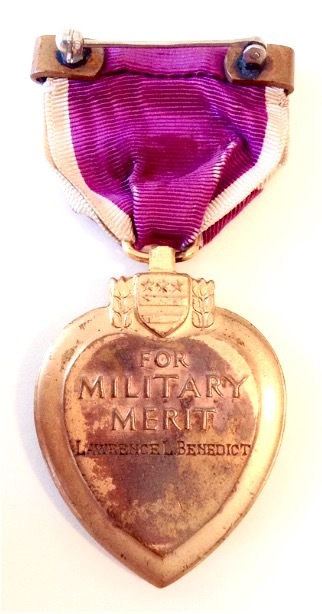 This example is numbered "48550" and issued to Lawrence L. Benedict for wounds received during World War I. 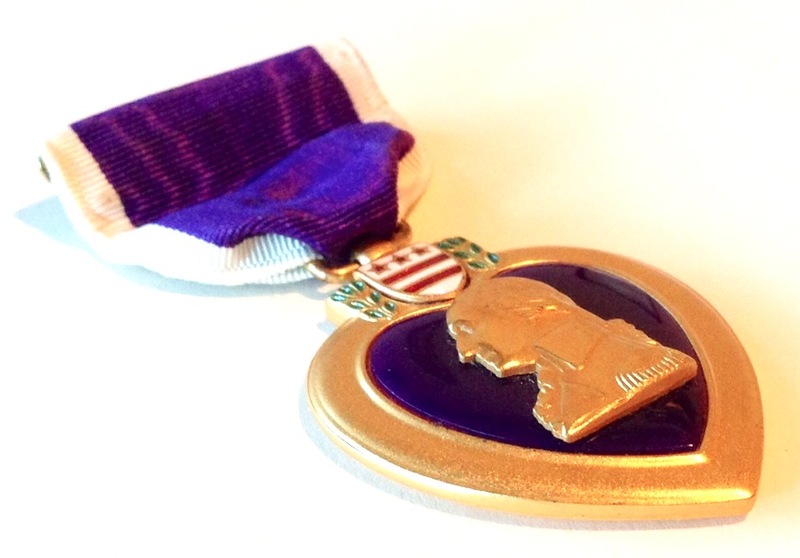 ​The 1942 REX PRODUCTS Purple Heart Medals are numbered on the lower left side in the range of 100000-400000, Made of Bronze with Gold Gilt. 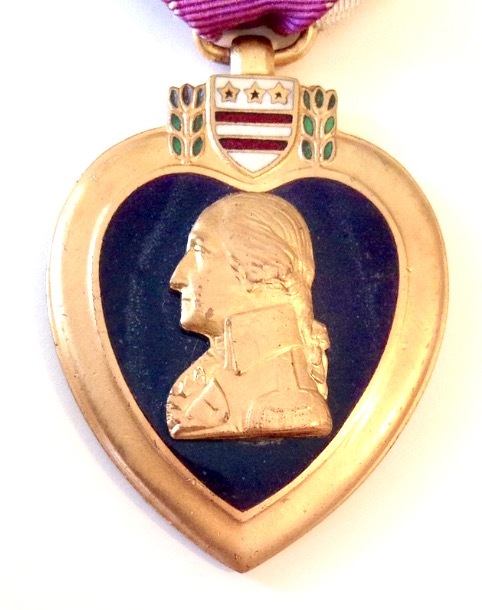 Enamel, lacquer, & polished phenolic resin heart, & slot brooch. 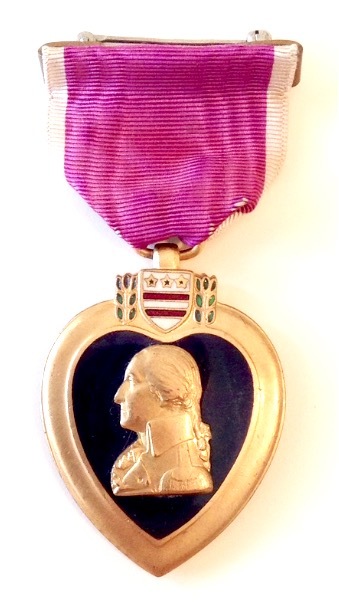 This example is numbered "158714", with a lacquer Heart. ​The 1943 REX PRODUCTS Purple Heart Medals are numbered on the lower left side in the range of 100000-400000, Made of Bronze with Gold Gilt. Enamel, lacquer, & polished phenolic resin heart, & slot brooch. 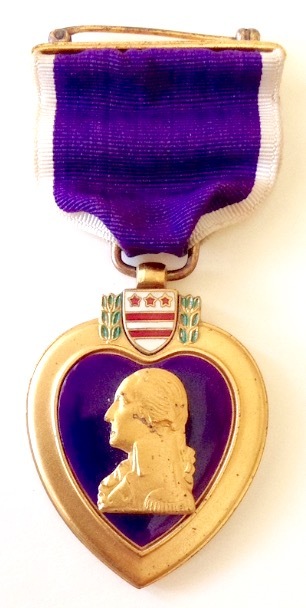 This example is numbered "211601", with a polished phenolic resin Heart. 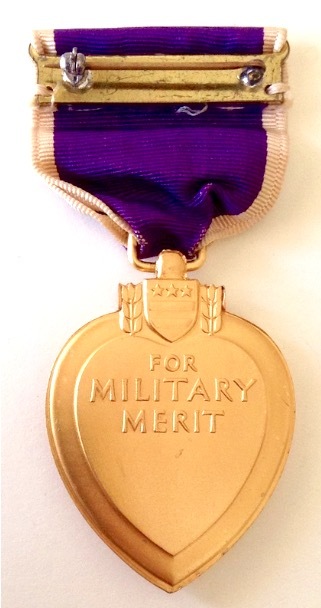 ​The 1942-1943 ROBBINS COMPANY Purple Heart Medals are numbered on the lower left side in the range of 400001-600000, Made of Bronze with Gold Gilt. 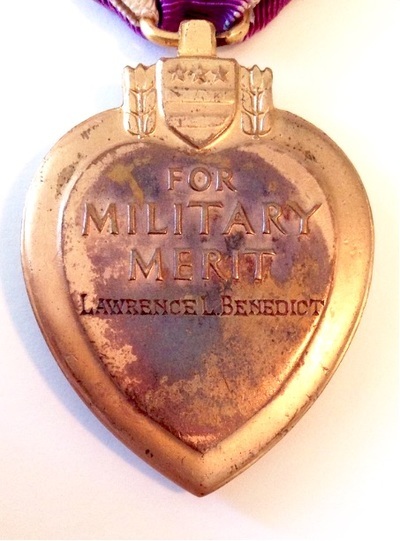 Enamel, & polished phenolic resin heart, & slot brooch. 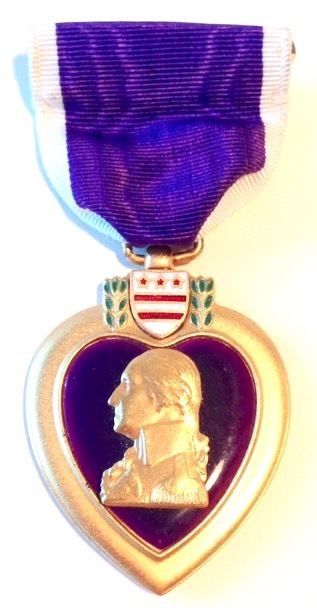 This example is numbered "400804", with a polished phenolic resin Heart. 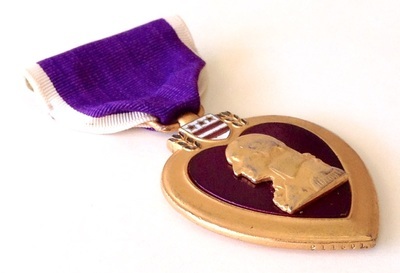 ​The 1943 AMERICAN EMBLEM COMPANY Purple Heart medal is un-numbered, & made of Bronze with Gold gilt, & a slot brooch. 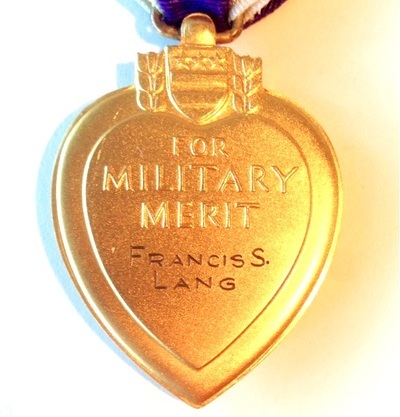 This example is named to Francis S. Lang issued for wounds received during World War I, w/ the 91st AEF 363rd Infantry. 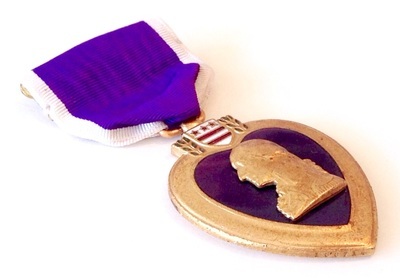 ​The 1945 REX PRODUCTS Purple Heart medal is un-numbered, & made of Bronze with Gold gilt, & a slot brooch. 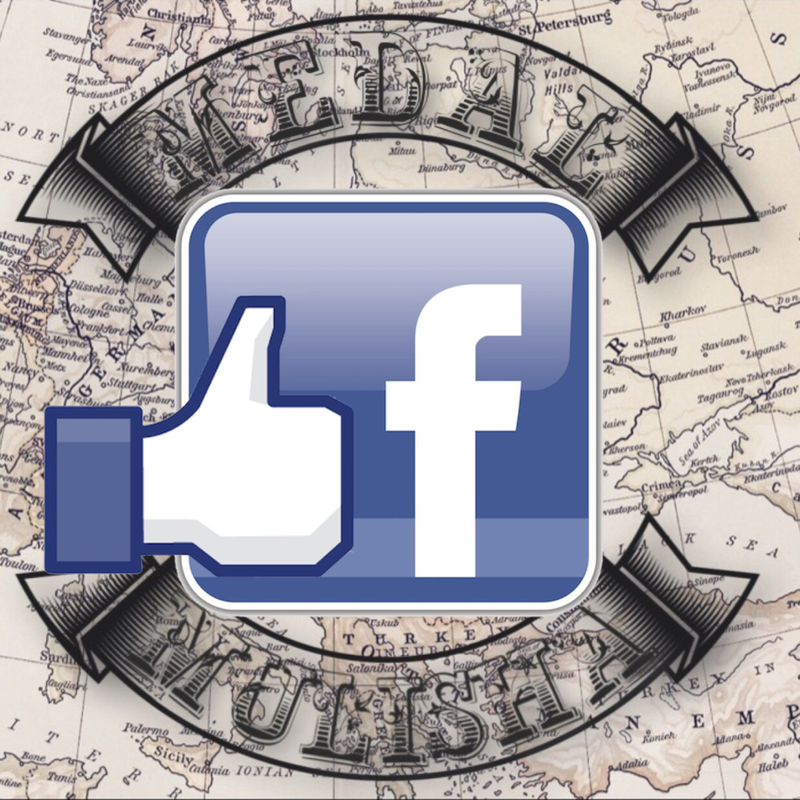 This example is named to Army Air Corps Soldier Clayton J. 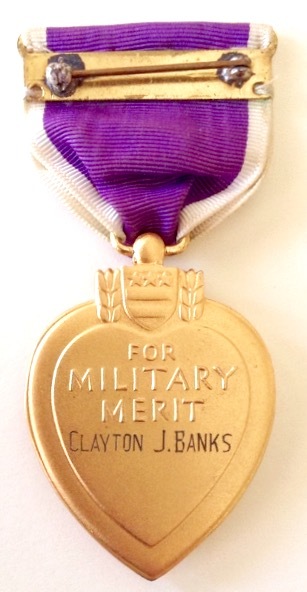 Banks, issued for wounds received during World War II. 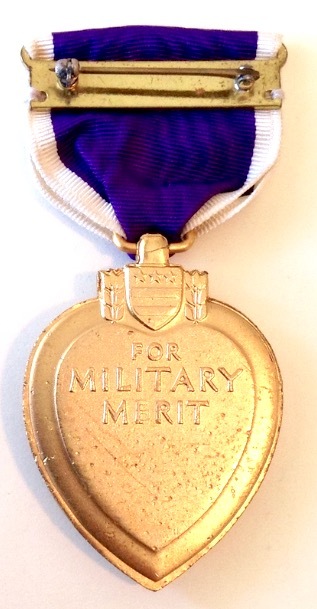 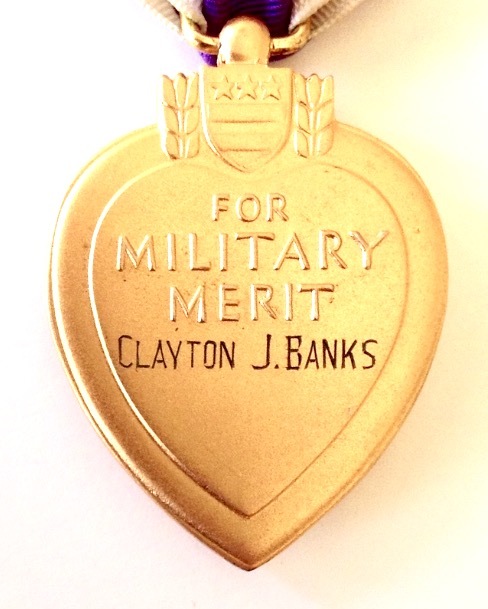 ​The 1942 U.S. Mint Navy Purple Heart Medals are Made of Sterling Silver with Gold Gilt. 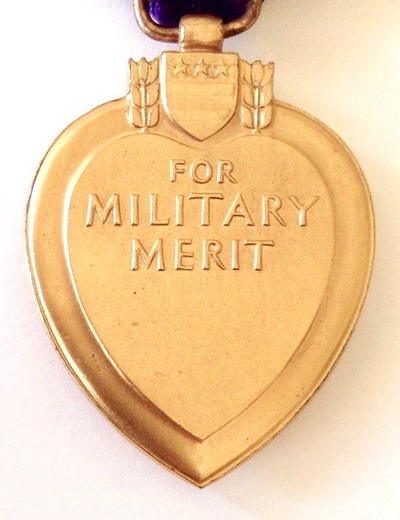 Plastic heart, & Sterling Silver split wrap brooch. ​The 1944 U.S. Mint Navy Purple Heart Medals are Made of Bronze with Gold Gilt. 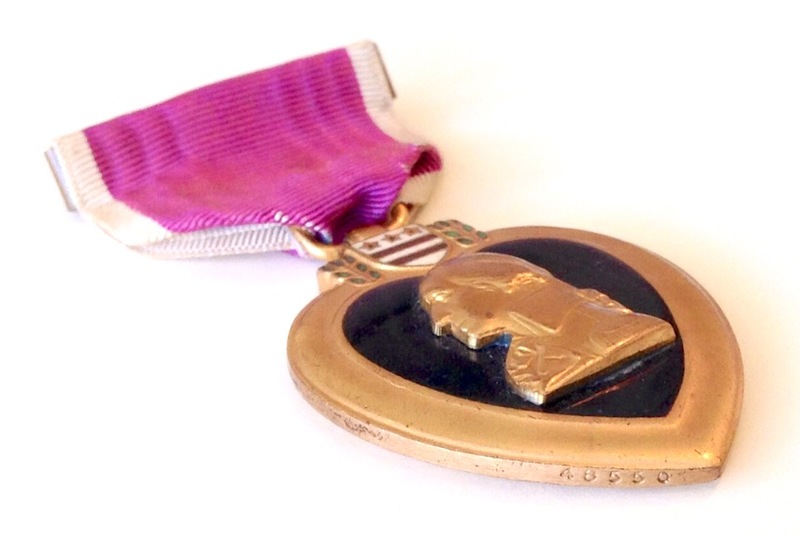 Plastic heart, & Sterling Silver full wrap brooch. ​The 1945 U.S. Mint Navy Purple Heart Medals are Made of Bronze with Gold Gilt. 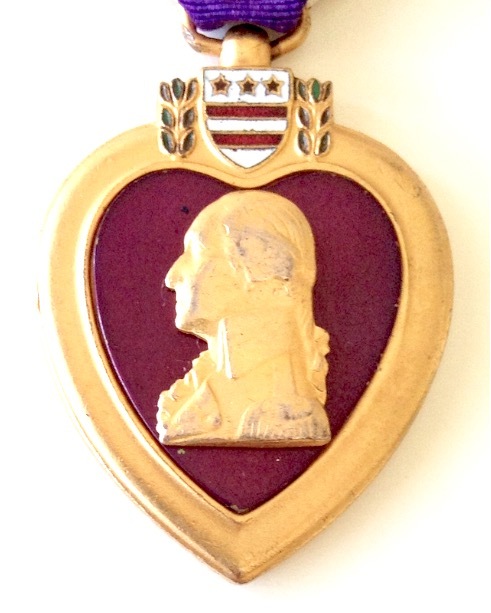 Plastic heart, & Slot brooch.